NextInsomnia That Feels "Almost Physical"
Pregabalin, an anticonvulsant approved to treat neuropathic pain, epilepsy, and fibromyalgia in the US and for generalized anxiety disorder (GAD) in Europe and Russia. 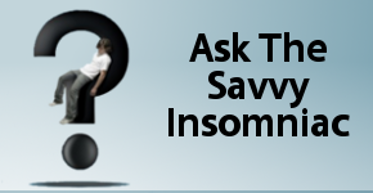 Lots of people come to The Savvy Insomniac looking for information about sleeping pills and supplements, and sleep maintenance insomnia is the most common type of insomnia problem. So I decided to investigate pregabalin. Here’s what I found out. Is Pregabalin Effective for Trouble Sleeping? Insomnia and anxiety are closely linked, and pregabalin inhibits the release of neurotransmitters associated with anxiety. Reviewers looking at the effects of the drug on people with anxiety and insomnia found that the drug improved subjects’ sleep in seven controlled clinical trials. But the kind of insomnia most often associated with anxiety is trouble getting to sleep at night. Why might pregabalin be effective for people whose problem is that they can’t stay asleep? Research on pregabalin used in the treatment of other disorders suggests the drug is relatively safe. The two most common side effects of the drug are drowsiness and dizziness. But few randomized, controlled trials have been conducted to determine its long-term safety, though the drug has been on the market since 2005. Like most prescription sleeping pills, pregabalin is a controlled substance. But it is classified as a Schedule V drug, considered by the FDA and the Drug Enforcement Administration to have a lower potential for abuse and dependence than benzodiazepines like temazepam and clonazepam and Ambien and Lunesta, which are Schedule IV drugs. If sleep maintenance is your problem and you’re unable to manage it by other means, pregabalin might be worth checking into with your doctor. If you’ve already tried pregabalin, what effect did it have on your sleep? My psychiatrist got me off benzos using Pregabalin and Mirtazapine. Side effects from Mirtazapine were severe but it did work. Years later, I still have no sleep function, but can sleep with 50mg Pregabalin at night – it really works – I get zero sleep without medication and never feel tired, even after 4 nights of not sleeping. Pregabalin calms my brain activity and turns me off in order to sleep – couldn’t live without it – quite literally! I used to be on a much higher dose but find that isn’t necessary now – for me, the drug is amazing! Lyrics helped my sleep. But they charged my insurance approx $450 pre month & now I’m in a donut hole with my pharmaceutical insurance & can’t afford it. Although it helpede rest & my fibromyalgia…itade my edema worse…I have chf. So my dr wanted me to stop it 3 yrs ago… but no sleep…no quality of life without it! I’ve tried gabapentin but it gives me headaches. Any other suggestions? 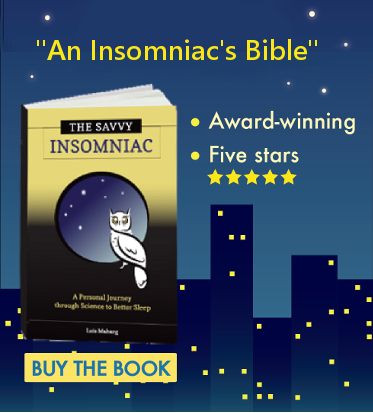 If you’re looking for medical solutions for insomnia, I’ve written quite a few reviews of other sleeping pills. To access them, click on “Blog” at the top of any page on my website. Then type “sleeping pills” in the site search box. That will take you to all the blog posts I’ve written about sleeping pills. I’m glad you’ve found a drug that works for you. There are downsides to using benzodiazepines long term. It’s good your psychiatrist steered you away from them and toward a drug that’s considered safer. Thanks for writing in! I’ve had terrible bad luck with sleep over the last year or so. I abused benzos to year’s and I think they’re really done a number on my gaba a receptors. Benzos do help if your problem is anxiety related and you just can’t stop your mind racing. Keeping you a sleep is another matter. I’ve had no luck with trazodone and don’t want to try mitz because of the weight thing. Doxepin is still an option. The next thing I ever tried was GHB marketed as Xyrem. You’d be lucky getting it off your gp as it scripted for narcolepsy but nothing comes close. You wake like a new person. Another 2 I’ve tried are baclofen and phenibut. Both similar. Baclofen is a muscle relaxant but at higher doses I found I slept real well as with phenibut. It sounds like you’ve been diligent in searching for a solution to your problem with sleep. If you’re happy with what you’ve found you’ll probably want to stick with it. But if you’re at all open to experimenting with a different, drug-free approach to improving your sleep, check into cognitive-behavioral therapy for insomnia (CBT-I). As counter-intuitive as it might sound, Sleep Restriction (a part of CBT-I) has helped many people looking to get to sleep faster and continue sleeping through the night. I started taking pregabalin for a sciatica flare up. I worked well but I noticed a great improvement in disturbed sleep and every time I woke up I felt I needed to urinate…maybe 6 times a night. Since taking pregabalin, I seldom awake more than once for urination…wonderful. It’s good you’ve found a medication that both eases sciatic pain and helps you sleep. Thanks for writing in to share the news! I started adding Lyrica 150mg to (20mg Ambien + 60mg Oxazepam which previously gave 6 hours max of poor sleep)… its lights out within 15 minutes, Now 9 – 11 hour deep sleep with dreams (unheard of for me). Lyrica is DEFINATELY doing something to put me to sleep faster and keep me asleep longer. Only problem is noticable impotence, but right now I just want to sleep.